October 1, 2018 - By The OTC Team! Here at OnTheClock, we operate an employee time clock system and love to give discounts to our nonprofit customers. 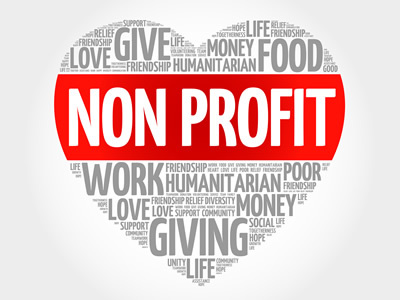 Not for profit organizations such as churches, schools, charities, libraries & foundations have used and love our time tracking system for over 10 years. We offer deep discounts and sometimes even free account to those who serve others. When you sign up with OnTheClock and you are a nonprofit, simply contact us and we will get your discount applied. We believe that we are blessed to be a blessing to others. Here at OnTheClock, we feel that the success of our business is truly a gift. Being very successful we feel the need to give back to organizations whose goal is to better humanity. Giving a discounted time clock system to nonprofits allows us to contribute to the betterment of humanity. How much of a discount can I Expect? We start all discounts at 30% for all nonprofit organizations. Sometimes we will run across a church or shelter that is in dire financial need. For those with great needs, we can sometimes offer a free lifetime account. Please note that although we mention the free account, this is not something we can give to everyone, only those with the most need. Does OnTheClock Work Well For Nonprofits? We have over 300 nonprofits - schools, libraries and churches using out time clock system. These customers and their employees use our time clock every day and love it. Look at our reviews to see how much they like us. Does My Nonprofit Need Time Tracking? We believe the answer is yes, a nonprofit is just like any other organization. There are people involved like managers and employees. Being human, mistakes can be made and people can even be taken advantage of. So, yes, your nonprofit does need a time tracking system. We also offer online PTO(paid time off) tracking for your employees. Employees can request time off such as sick, personal or holiday from their phone or computer. A manager can then approve or deny the time off. If approved, the time is added to the employee time cards. Your nonprofit organization will want to keep employees accountable for their time. When a time tracking system such as OnTheClock is added to your business, your employee accountability will increase. If you are worried about employees forgetting to clock in/out, you can set up reminders that will send a text message or email. Do your employees work a non standard work schedule from day to day? For instance, one employee may work Monday from 8am - 2pm, then Wednesday from 2pm - 10pm. If so, our time clock has a build in employee scheduling module that is free, no upgrade charge. We offer a finger print option, when using this feature, employees will simply walk up to a computer and touch the fingerprint reader. The employee is then permitted to punch in or punch out. This is a great feature to guarantee that the employee is present at work when clocking in. When the pay period is over you will need to get the employee hours for payroll. OnTheClock offers several integrations including QuickBooks, ConnectPay, Payroll Connect and also allows printing, excel export or emailing of time cards. How Else Do We Support Nonprofits? On top of the default 30% discount, we also support non profits in 2 additional ways. First, for each nonprofit OnTheClock customer, we donate back a percentage of our profits back to nonprofit charities. Second, we donate our time to nonprofits and charities. Each team member here at OnTheClock is given paid to volunteer 1% of their time to nonprofits and Charites. Are you ready to start tracking your employee’s time?? ?